My pulmonary fibrosis was from PCP pneumonia which left me with lung scarring. I am having constant coughing fits, not sure how much longer it will last, each day gets harder to deal with the illness. In 2011 I contracted pulmonary fibrosis (PF) probably after a 45 minute walk on wet grass daily (in an open ground) for about 30 days as part of my exercise regimen. It started with a dry cough and mild temperature, and fatigue on exertion. A CT scan confirmed it and I am now on minimum daily dosage prednisone (7.5 mg), azathioprine and N-Acetyl. The disease progression has been slow, but spikes during colder climes needing step up in steroids. I have low immunity and do a lot of home rehabilitation and yoga exercise as part of pulmonary rehab with daily slow walk on cardio tread mill. I read about PF patients opting for stem cell therapies and also drug Actimmune. I have to discuss these with my doctor, who is rather conventional and loathes trying new stuff. I have pulmonary fibrosis. I had a cough. I noticed that I was slowing down. I was always active. I was a soloist in the choir and was having a hard time singing. I was hospitalized and they did a CAT scan and found the fibrosis. They did a biopsy on the lobes of my lungs. They put me on 6 liters of oxygen and steroids. The pulmonary doctor told me that I was going to die and said there was nothing he could do for me. I am no longer on steroids. That was 2 years ago. The scarring is about the same. My oxygen level drops when I walk. I can't do much. My husband does everything for me. I am attached to a 50 inch hose. I worked in a clothing factory and breathed in fibers and dyes and whatever was in the fabrics as I sewed, which I think caused my pulmonary fibrosis. I have a good positive attitude and enjoy each day. I never thought that I would have such a debilitating illness. I was always so active. I still haven't made the call to hospice. My pulmonary fibrosis was created by the drug amiodarone which was given for heart arrhythmia. It has been a battle for the past year. Previously I was fit person. I lost a lot of faith in our health system. I am trying to stay positive. I have pulmonary fibrosis going on 15 years. The cause of my problem may be the medicine I take. I've been taking Remeron for over 20 years. I read that these anti depression drugs may cause the problem. My father died from pulmonary fibrosis. He was 83 years old. I was never exposed to anything harmful to my lungs. I need oxygen if I walk or exert myself. I do not need oxygen if I am in a lower elevation. I plan to move to Dallas or Indiana where I have no problem breathing. Where I now live the elevation is 6000 ft. I would like to know if indeed Remeron may be the cause of my problem. My dad was diagnosed pulmonary fibrosis 13 months ago. He never smoked a day in his life. The only treatment he received after diagnosis was oxygen. He was supposed to have been prescribed Esbriet but never got the prescription from the doctor. He had pneumonia several times in the last 5 years but no one checked to see why he was so susceptible until a year ago and by then it was too severe. He went to the hospital two weeks ago and passed away on Father's Day. We are just at a loss that it happened so fast. I miss him so much, he was a good man. My Father had idiopathic pulmonary fibrosis (IPF) as it is known in Australia. After 10 years of having been static and not on oxygen or any treatment, he rapidly deteriorated in 2 weeks and passed away in 2 days. Doctors could not do anything other than make him comfortable. It is a sickness that nothing is known about how to treat or prevent or stop. He was going to start on a new medication that had far more side effects than the IPF has and it has only 40 percent success. More needs to be done to understand this sickness as it is not known why and how it starts. Dad passed away at the age of 72. He however found that some medications did assist him. Panadeine Forte (has codeine in it) did help him breathe, he took 3 a day. Oxygen was of no use as it did nothing to assist him. His journal said that he kept in communication with people around the world who too found that there was no treatment. Stem cell therapy is still at early stages, perhaps that is the solution. Wish you all the very best and keep positive. Like my dad said, I wish I had 1000 years to do all I wanted. I suffered with achalasia for a decade and was diagnosed 4 years ago. I had the new POEM (per-oral endoscopic myotomy) procedure by a very skilled surgeon, the best thing I ever did. What a life changing surgery! I was diagnosed with idiopathic pulmonary fibrosis (IPF) in 2007 by VAT (video-assisted thoracoscopic) surgery and was put on large doses of prednisone and oxygen 24 hours a day. I actually believe I contracted this from the asbestos in my home. I used to sweep the loose particles from my ceiling before I knew better and painted over it. My husband also contracted IPF and died in 2011. In my case however, my pulmonologist n Sacramento (2012) put me on Imuran and declared the IPF as being in remission. I discontinued the Imuran after about a year upon contracting a MRSA infection. I continued the O2 therapy until after moving back to the Bay Area. At that time I saw a new pulmonologist who tested my O2 during exercise and took me off the oxygen. I'd been dependent on it for six years. I have sarcoidosis which the doctor says is the cause of my pulmonary fibrosis. I am on oxygen and very short of breath. I have never had a cigarette but lived with a smoker for 25 years. I am a registered nurse and worked in the ICU for 25 years. Of interest is my husband also had sarcoidosis which never gave him a problem. Being short of breath is not fun. So far I have no edema. I am on prednisone and ASA (acetylsalicylic acid). My mom was diagnosed on January 28, 1986 (same day as the Challenger tragedy) with pulmonary fibrosis. She was 54 years of age. Mom never smoked, drank, worked in factories or the like, being a stay at home mom. She was put on oxygen 24/7 which helped. Several years later, she just "got better"! She no longer needed any oxygen, went to work full time and was a picture of health! When diagnosed, the medical field deducted it was due to our bird business (we raised, trained, sold pet birds). Once diagnosed, we no longer kept any of the birds, even our house pets. Unfortunately, almost 6 years ago, my mom was given a pair of her favorite canaries that she adored! When the dry cough started again, we took her to the doctor and our worst fear was confirmed. She indeed had this disease rear its ugly head again. I was diagnosed with idiopathic pulmonary fibrosis. I answered all questions starting with "Did you" negatively. I was treated for breast cancer in January 2010 with radiation. I honestly believe that's what caused my IPF. I have always been healthy until the breast cancer showed up. I had pulmonary rehab for nine weeks, twice a week. I'm trying to stay active. I have oxygen concentrator at home and portables for when I need it. At home my choice is not to use it unless I'm doing something that exerts me too much. I have to have it shopping or walking at the mall. I try to do that at least 4-5 times a week. Sitting and sleeping do not require oxygen at this point. When I get tired, I rest. I'm trying to be wise and one day at a time is my motto. I was diagnosed with PF (pulmonary fibrosis) in Feb 2012. I may have had it for 1 or 2 years prior to that. I worked full time up until June 2013. My pulmonologist has theorized that it may have been caused by acid reflux. I ate big meals for years that were too close to bedtime mostly due to my crazy work schedule. I had the "Nissen fundoplication" procedure in late June 2013 to fix the reflux. It almost immediately worked. I no longer take omeprazole or anything for i.e. am now currently on the lung transplant list and have been since Aug 1, 2013. I have had 3 "dry runs" to receive new lungs. I take life day by day and remain in good spirits and go to pulmonary rehab 3 times a week. I have not been diagnosed with pulmonary fibrosis (PF). While having a CAT scan for a kidney stone, they found scar tissue in my right lung. I have never had pneumonia or bronchitis, but I exhibit symptomology that fits PF. I was a soldier who served in the Gulf and Iraq during the burning oil fields and burn pits. I was told that a higher than average number of soldiers my age are developing PF due to the exposure. I am seeking information that might make this condition more manageable down the road. Good luck to you all. I've had horrible asthma since I was 10 or 11. I am now 46. Everyone I know grew out of their asthma but I grew into mine and it progressively has gotten worse. Just 3 weeks ago I was working full time but started having problems with my asthma which went from my regular inhaler, nebulizer and prednisone to what I thought was the flu to an emergency room visit where the x-rays and CT scans show masses on my lungs, pulmonary fibrosis and calcification of the aortic valves. I just learned this yesterday and am devastated and terrified! I have been out of work (office job) and have an urgent referral to a pulmonary specialist. My PCP (primary care physician) won't even think of talking about me returning to work until after seeing the specialist. I'm not sure what lies ahead of me. At 30 I contracted chicken pox. I ended up with varicella pneumonia, ARDS (acute respiratory distress syndrome), 4 1/2 months ventilator dependency, including jet, 5 holes and surgery to repair 1 hole. About 25 years ago my young daughter squeezed a puff ball in front of my face. I gasped, inhaling the mold spores. I became short of breath with a cough, and developed hives all over my body. My doctor took x-rays and they showed my lungs were covered with mold spots. He gave me pills for itching and an anti-inflammatory. I suffered for a year before I felt better! Now 25 years later the spots on my lungs are now scars. I still have a cough but no itching or shortness of breath. I'm now very allergic to mold so I'm on Zyrtec and nasal sprays. I had an 8 week long illness which in the beginning I thought was fall allergies. However, I began having coughing fits, fever, chills, shortness of breath and extreme fatigue. I had started a new job and put off going to the doctor. Finally, I couldn't walk across the room without being short of breath and light headed. My doctor diagnosed me with reactive airway disease and bronchitis. I was sent for a CT scan for an unrelated issue which showed scarring and bronchiectasis. I'm just newly diagnosed, my doctor is referring me to an allergist which I don't understand. I feel that I should be seeing a pulmonologist. My father was just diagnosed with pulmonary fibrosis two days ago. The doctor said he has full lung involvement and 50% lung volume. I have read about this disease this weekend, I get the prognosis is not great. He is 65, quit smoking over 30 years ago and had radiation when he was 36 for a cancer which never returned. We believe he has had the fibrosis for at least a year and fear he is in to last stages already. My husband's pulmonary fibrosis started in 2009. Next 4 years were pretty good, then in 2015 he had to have oxygen full time and developed lung cancer. He died on December 12, 2015 of pulmonary cardiac arrest. At least he was spared a long and lingering death. This is horrible disease. My boyfriend died and he had pulmonary fibrosis. He was only 61 I watched him die and it was horrible; he was gasping for his breath. He went to the hospital for emergency surgery on his colon. He quit eating and he wouldn't get out of bed and walk. He developed pneumonia in his left lung. Within 7 weeks he was dead. I am a 57 year old female who was diagnosed with pulmonary fibrosis 2 years ago this June. I have an excellent pulmonary physician who has put me on CellCept to slow down the scarring process. Most days I feel really well and still work a 40 hours week. There are days when it is very difficult to manage because of the extreme weakness, but I keep going. I got pulmonary fibrosis with radiation treatments when fighting breat cancer. It has been 5 years now. I recently have been told my rheumatoid factor is 63, which is high and it's because I have PF. I am totally baffled by this. I also found out I have Sjogren's which is high at 267. I just keep going strong and when I'm tired I rest. Thank goodness I don't worry about the dust or lint! My pulmonologist now says I have pulmonary fibrosis. I have never smoked but had a mild case of pneumonia in 2011. Since then I have gotton worse. I was on prednisone last year and now am on a low dose which is not doing much of anything for my shortness of breath. I was an active 71 year old, volunteering in my hospital and now I a home all of the time. It is so depressing and I understand now what everyone means to be home bound. Good luck to you all. I was diagnosed with pulmonary fibrosis in January of 2013. I was a smoker for many years, and found out my COPD is actually emphysema. I had pneumonia in January, and finally had a CT scan, which showed the PF. I am 71 and the coughing and the feeling of being out of breath has changed my life. The pulmonary doctor wants to wait until July for another CT scan, but I feel he should do it sooner, for it's getting rapidly worse. I don't have idiopathic pulmonary fibrosis (IPF). They know what has caused this in my lungs. I know there is no cure and really no treatment. I know I should just stay as active as I can and breathe deep. I know that this has happened to me because my own body is trying to heal the injuries caused by smoking. It's like when you cut your leg; your immune system begins to heal. Well, this is what it is doing to your lungs. But in trying to help, it is creating scars on the lungs, and making it worse. I know they have put a timespan on this terrible disease. The worse is they are trying so hard to find a way to help us, but it's something new. My wish for everyone who has this – hang in there, for life is never over 'til it's over. And life is really all about moments. Live in your moment, one day at a time. I was diagnosed in January 2013 with pulmonary fibrosis. I'm in shock because I have been diagnosed with neurological problems since August of 2009. That's when I had a cervical laminectomy for cervical stenosis. Since then, nobody has been able to figure out my muscle weaknesses in my arms, legs, bladder, and head drop. ALS and MS have been ruled out. I don't smoke and haven't worked since the surgery. The main lesson I have learned since being diagnosed with PF is, when you feel tired – rest. 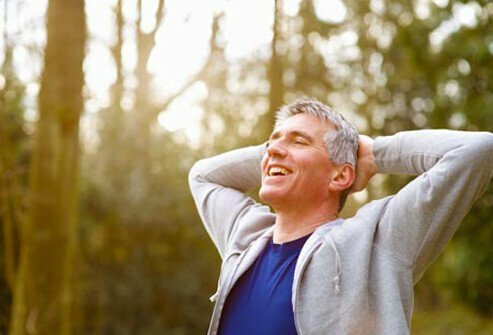 What treatments have been helpful with your pulmonary fibrosis? What were your symptoms associated with pulmonary fibrosis? 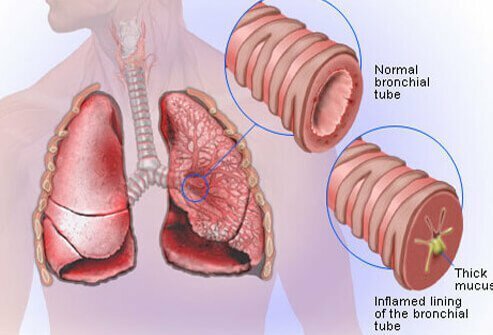 If known, what caused your pulmonary fibrosis?